As I try to catch my breath between the harvest and the holidays, I thought pausing to review the last month might slow me down enough to achieve a couple of deep inhales and exhales. Breath in, breath out…. maybe. Catching a rainy afternoon helps too. About a month ago, in the middle of our busy cotton harvest season, I checked out of our farm-house on Cotton Plains Farm, and into the Holiday Inn, all right here in Suffolk, VA. It was an odd few days, being a guest in my own backyard. The VALOR II, Seminar II had come to my territory – Southeast Virginia – Tidewater – Hampton Roads – seems we have lots of names for this Region of Virginia. We had an incredibly packed schedule, learning about Emotional IQ and Networking, discussing and planning our future National and International trips, plus touring around to visit a diverse group of Agricultural entities in the area. I’d like to tell you about a couple of our stops. One of Ron’s activities for us was dissecting a cotton boll – a new experience for most of our group, but a familiar routine for me – something I get students to do while visiting local elementary schools during Ag Literacy week. (Have I mentioned that I checked out from the farm in the middle of the cotton harvest?) We appreciate Ron’s hospitality and his great work in our community, developing another generation of agriculturalists. So you might get the impression that I may have been a little preoccupied during our last Seminar. Of course, our farming business and especially the harvest are never far from my mind. But I have to say I was able to focus and appreciate the weekend’s activities because of these two – Joseph H. Barlow, III, and Joseph H. Barlow, Jr.
Great to know my family has my back while I’m away developing my leadership skills! And the happy ending to all of this; all the crops were harvested before Thanksgiving. And that fiber of our lives? 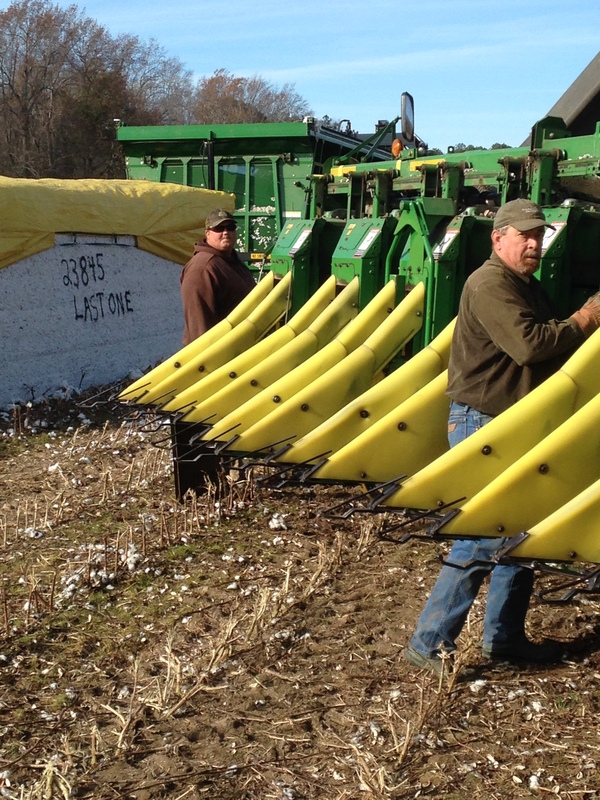 It was the highest yielding cotton crop we’ve ever had. Time to relax, catch our breath, and count our blessings. To everyone at VALOR and all of you that are tagging along on our adventure: Best wishes for a wonderful holiday season and a prosperous New Year!